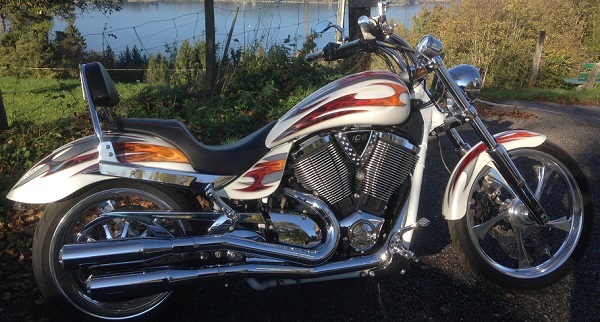 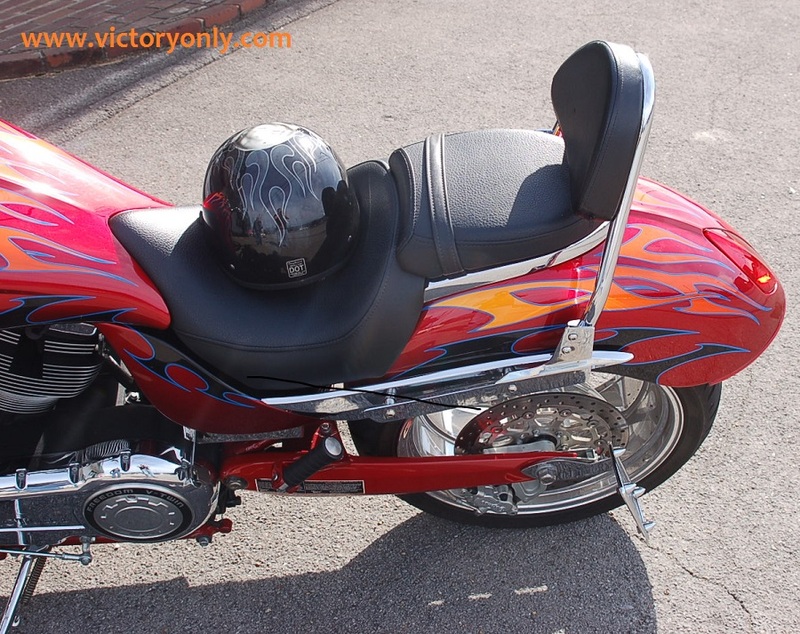 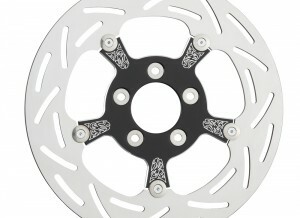 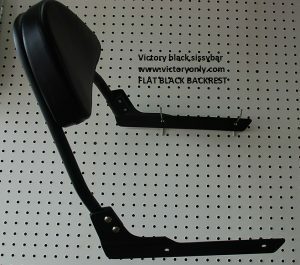 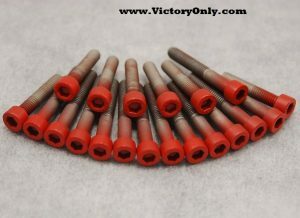 VICTORY MOTORCYCLE HAMMER OR JACKPOT SISSY BAR BACKREST KIT IN CHROME OR BLACK POWDER COATED. 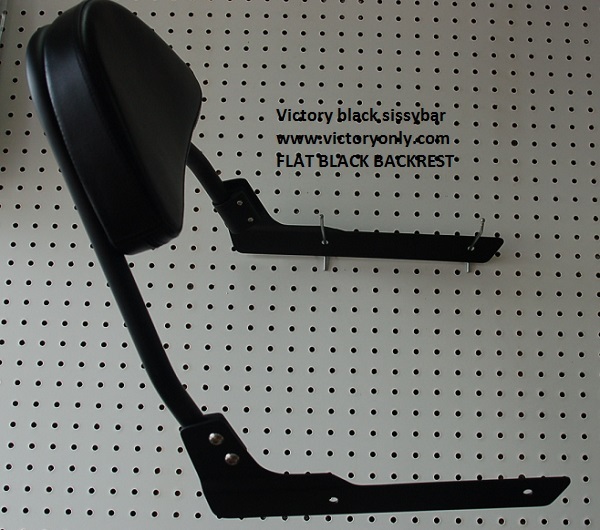 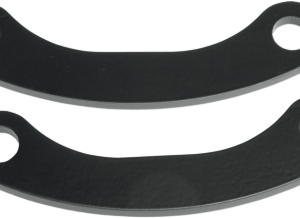 THE BLACK BACKREST AND SISSY BARS ARE A TRUE FLAT BLACK FINISH FOR THE 8 BALL MOTORCYCLES OR ANYONE LOOKING TO BLACK OUT THEIR VICTORY MOTORCYCLE. ADD AN OPTIONAL REAR RACK TO FINISH OFF THE LOOK OF THESE WIDE AND NEW LOOK BACKRESTS. NO LONGER A SKINNY BACKREST ON A FAT FENDER HAMMER AND JACKPOT. 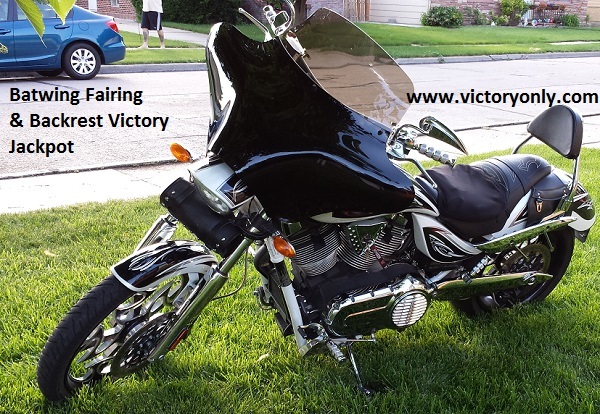 ACTUALLY A BACKREST MADE TO FIT YOUR VICTORY. 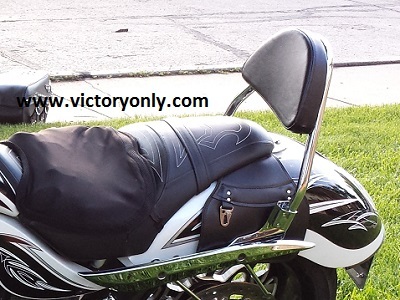 THIS IS THE FULL KIT EVERYTHING YOU NEED TO INSTALL. 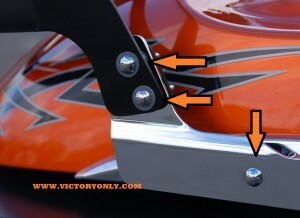 Receivers bolt to last two eyebrow mounts in stock fender mounts. 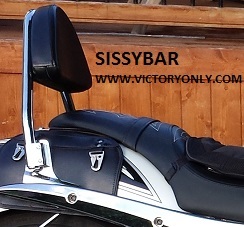 5/8 inch chromed steel rod sissy bar mounts to receivers. 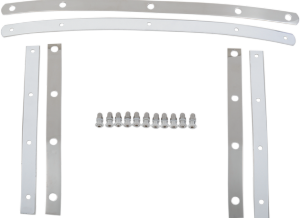 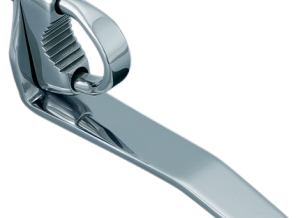 Comes with hardware. 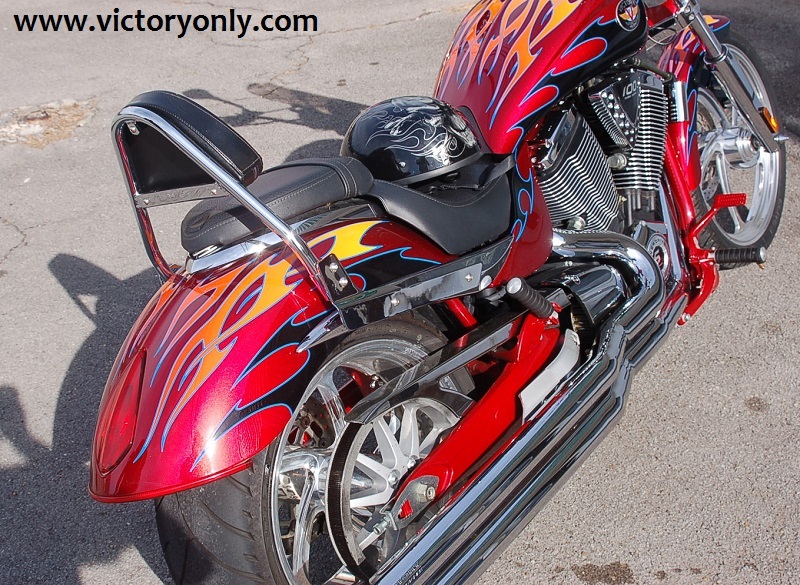 • Nicest sissy bar you can get for your Victory. • Clean and simple no bars hanging all over your bike. 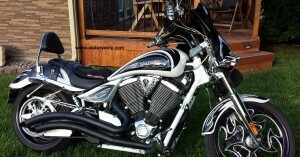 WIDE AND MOST COMFORTABLE ON THE MARKET !! 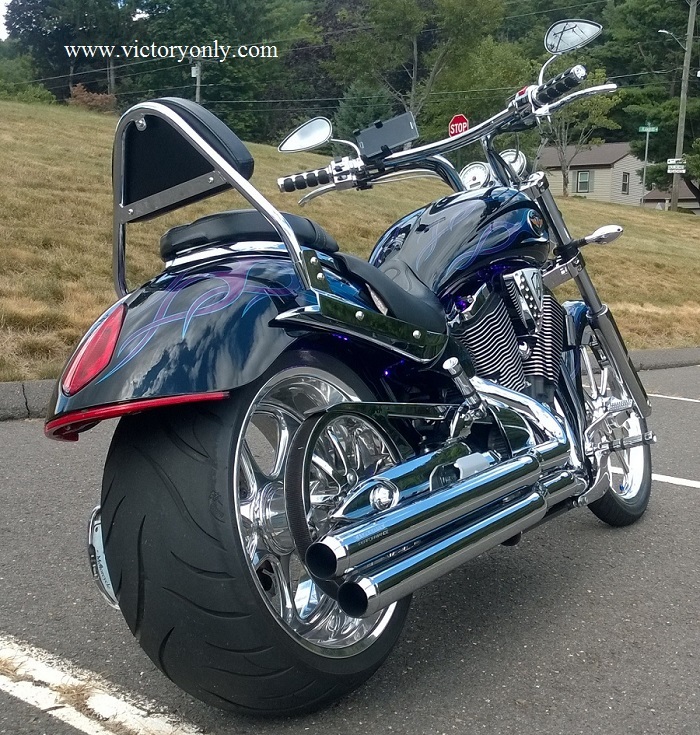 WIDE BACKREST TO MATCH THE WIDE FENDER JACKPOT AND HAMMER MOTORCYCLE FENDERS.